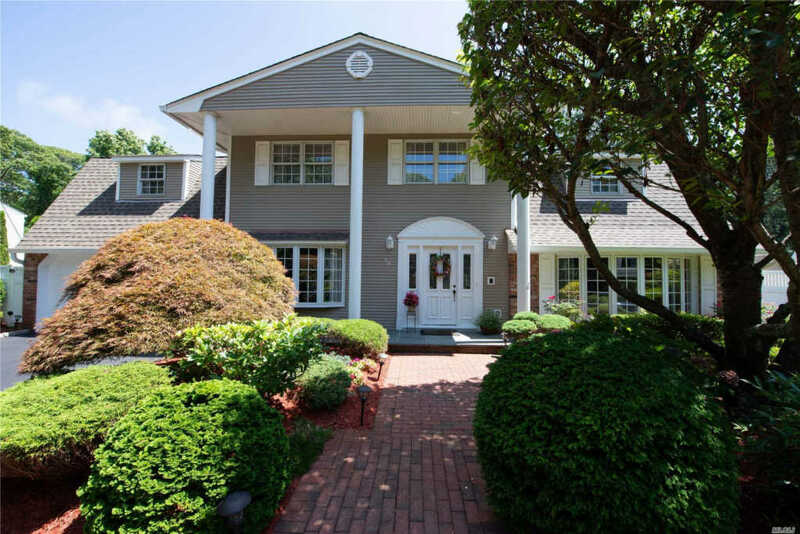 Exceptional Colonial With 5 Spacious Bedrooms And Additional Two Floor Extension Off Back. Huge Family Room With Wood Burning Fireplace And Custom Wall Unit. Upstairs Game/Billiard Room. All Season Sunroom Leads To The Tranquil, Private In-Ground Pool, Lush Gardens And Entertaining Area. Backs Up To The Greenbelt. Cac. Gas Heat. New Roof, New High Efficiency Boiler And Water Heater. Gorgeous Wood Floors Throughout. Pella & Andersen Windows. Attention To Detail Runs Through This Home. A Must See!